The Milton Keynes Reader Service offers a free reading and writing service for visually impaired and disabled people in Milton Keynes who find reading and writing difficult due to their disability. We also offer a free facilitation scheme to enable people to participate in activities outside the home including shopping, adult educational classes, concerts,theatre and museums. The core of our service is to support people to remain independent. 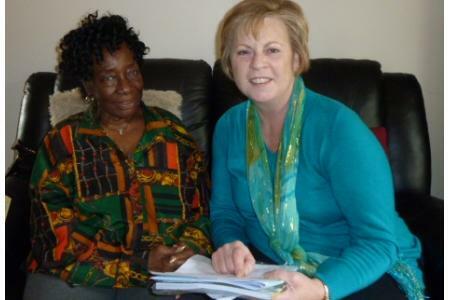 Our service users decide what reading, writing or facilitation scheme they require with the assurance that all our volunteers have completed a comprehensive training course and that privacy and confidentality is respected at all times. 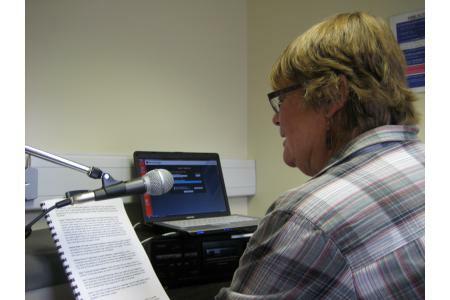 We also help our service users to access information by offering a free transcription service to convert written material into large print, memory stick, audio tape and CD. Our service users are able to gain independence by being able to access information, it can be anything from daily correspondence to filling in forms to reading magazine articles. Our shopping and facilitation scheme provides our service users with a greater freedom of choice, enhanced independence, equal opportunities with others and gives them a chance to participate more fully in the life of Milton Keynes. Pays to transcribe information onto CD.